Introducing laminated nanopaper lamps from MooDoo, a young design studio in Prague. Simple and spectacular! The designer of the lamps is MgA. Tomas Paul, a well-known artist in the Czech Republic. Peter Skacel and Marek Schwarz are technical developers of the special paper used to create the line of elegant ambient lighting. They work in conjunction with NeoGraph, a Czech security paper mill. So just what is nanopaper? I was curious and found this wiseGEEK site that explains it is an extremely durable paper that obtains its strength from trillions of linked cellulose nanofibers. Still a very new technology, scientists are working worldwide to develop uses for this fascinating discovery. 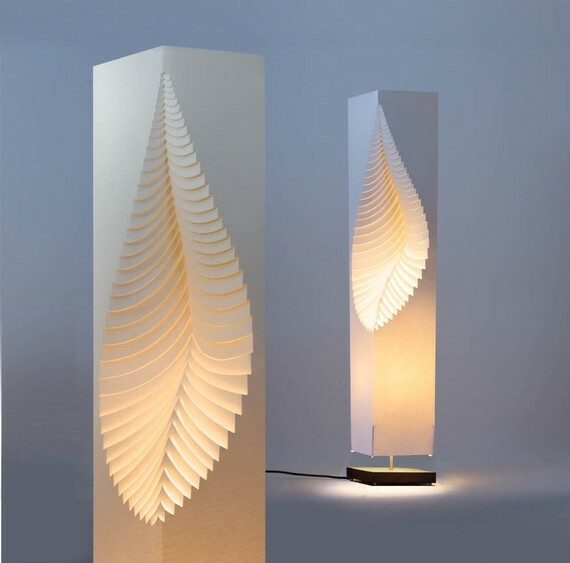 The line of MooDoo lamps may be expanded in the future to include printed and/or perforated papers. This limited edition shade with stand is designed to hold a tea candle. 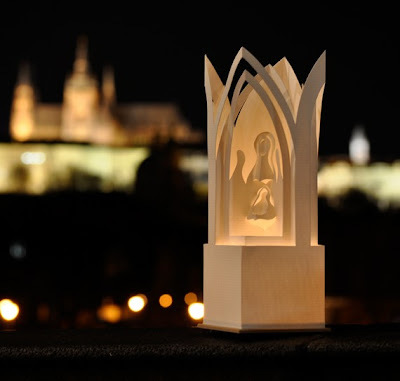 Protective figures surround a cradle, standing under Prague's majestic Gothic arches. So beautiful in its simplicity. Visit MooDoo's new Etsy shop and view additional lamp designs on the company's website, MooDoo. By the way, for those of you who were interested in the 3-D modular origami featured last week, Helen of Let's Create has many tutorials on her blog. Learn to make the swan, and perhaps there's still time to construct the symbol of hospitality, a pineapple, as a lovely way of welcoming your Thanksgiving guests. Beautiful lamps Ann !Thanks for the link to the amazing origami pineapple tutorial. The Bethlehem lamp looks great. I just saw your quilled marriage certificate over at Oh So Beautiful Paper. I LOVE IT!!!! I love all the nature goodies, right down to the mushrooms and the little mouse. But I must say I am totally smitten with that bluebird and the flower next to it that looks sort of like a gerbera daisy. I am so curious to know how you made those. Will you be posting something here with more details? Thanks very much Melissa. Yes... stay tuned, later in the week! Thank you, Ann, for the link. Very impressive...I was in Prague last year and would have loved to have gone to the Moodoo studio to see these gems in person. 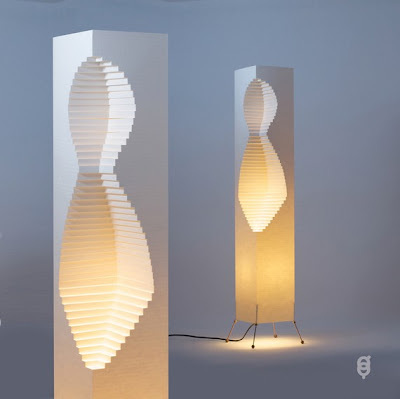 How can one learn this art of the nano paper lamp? yes it looks simple but how can you make it? creations and bianca, this isn't a do-it-yourself project, at least for a novice paper cutter. There are lots of good books on paper cutting and folding if you're interested in learning the art.